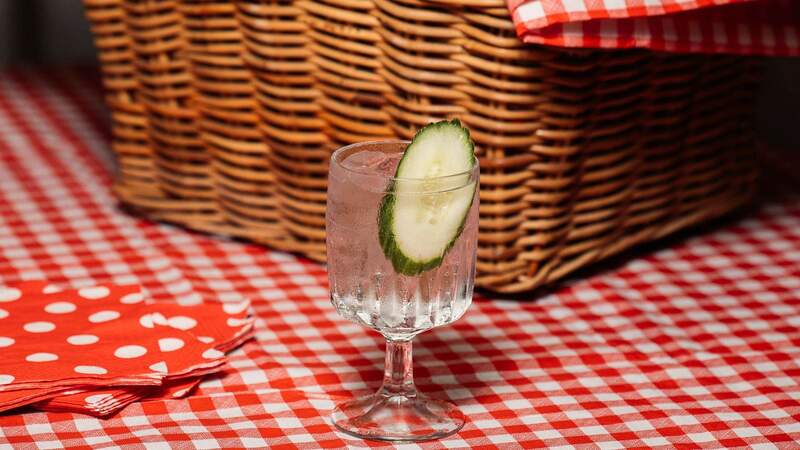 With picnic hampers, indoor lawn games and Hendricks led meditative martini sessions. Now that the weather has become slightly chillier and you've accepted that you might have to pop a jacket on when you head out for the day, what's the best way to keep feeling as invigorated as one does while sipping a G&T on a summer's day at the park? Green Park Hotel's latest Thursday night event, Gin in the Park, obviously. The kind folks at the Darlinghurst public house have all sorts of juniper-heavy evenings planned to keep us all feeling upbeat and refreshed during the dreaded post-summer blues. Now that it's cooler, there's no need to brave the great outdoors because Green Park is serving picnics at the pub. To snack on while sipping $10 G&Ts, these adorably retro picnic hampers contain all the classic goods that some might think of as simple fare but are undeniably moreish — cubed cheese, Jatz crackers, pickled onions, dips and cucumber sandwiches are all on the menu. It's called a 'povo picnic', but it sounds pretty priceless to us. If, in addition to your delightful picnic, you feel like a spot of lawn games, you're in luck. The Greeny ups the ante on Thursdays with, what they refer to as, "silly" versions of lawn game classics. Ring toss, skittles and Jenga will all be on offer, so you can let your competitive side come alive without having to take yourself too seriously — gin in hand, all the while, of course. There'll also be plenty of martinis if you wish to shake things up from your usual G&T. Disclaimer: the pub doesn't have an actual lawn — it's more of an astroturf-covered pool table situation. 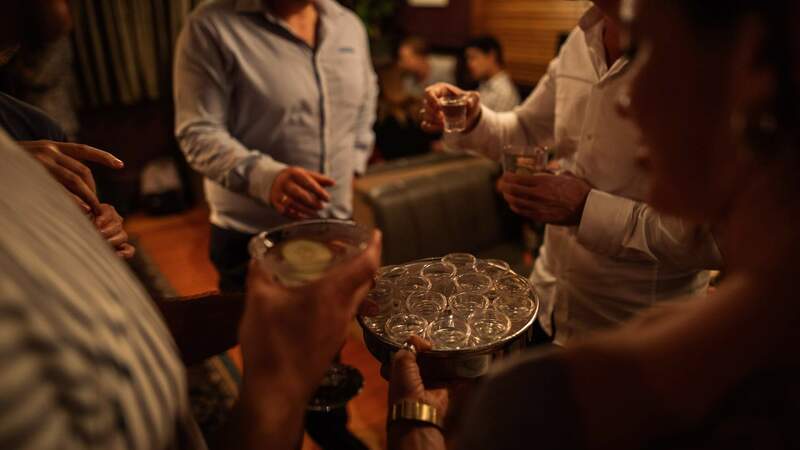 But hey, when you can play with martinis on the pour, does it really matter? Have you ever meditated with a cocktail in hand? We wouldn't question if you had, you gin fiend, but we promise you've certainly never done it like this. The Green Park is spiking its Thursdays with unconventional gin events in collaboration with Hendricks, such as this immersive meditative martini experience. It'll elevate your love of gin to whole new sensory plains, with blindfolds and noise-cancelling headphones all part of the adventure. 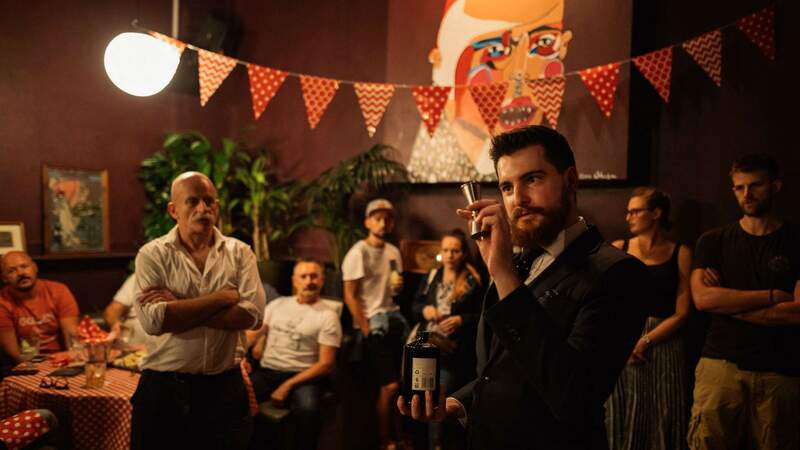 You can take part on these gin-credible (we had to) Hendricks Meditative Martini Experiences once a month (and of course on Thursdays) — April 18, May 16, and June 6 — but make sure you sign up, as places are limited. Gin in the Park certainly wouldn't be complete without a heavenly soundtrack that distils the night into one to be remembered. At Green Park, there'll be a rotation of local DJs hellbent on making your Thursday as enjoyable as possible — just like a cruisy Sunday arvo with mates at the local park. Who can you expect to be dishing out your pre-weekend boogie? The beloved resident DJs Kate Monroe, Hamo and Dom de Sousa. Gin in The Park takes place every Thursday from 5pm at Green Park Hotel. Visit the pub's website for more information.